Houghton Lake, as the largest inland lake in Michigan at 22000 acres, is a multi-species mecca. It's a fish factory. 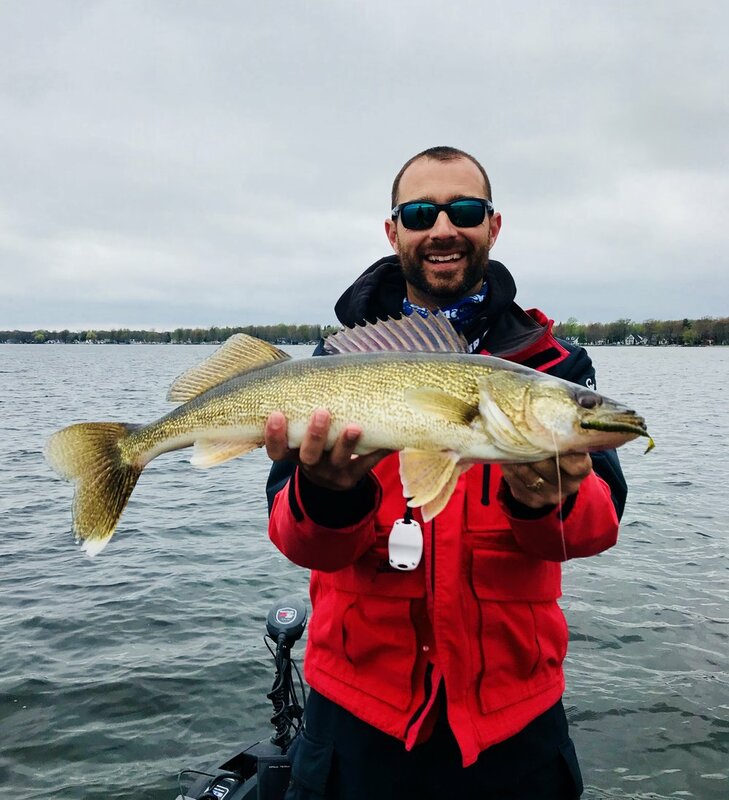 I specifically target walleyes on Houghton, but we catch big crappies, smallmouth bass, largemouth bass, and northern pike right in with the walleyes. If you don't catch fish, you don't pay! That's our promise to you! We work extremely hard to ensure that you have a memorable experience. We cater to all ages and experience levels! 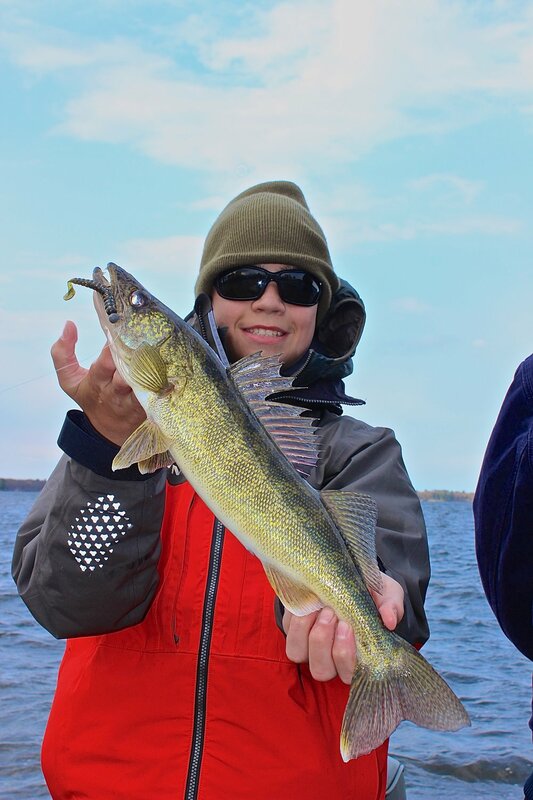 All you need to bring on the trip is a valid Michigan fishing license and a good attitude! To book a trip on Houghton Lake, call/text me at 517-488-3224 or email me at freshwatertherapy@gmail.com! 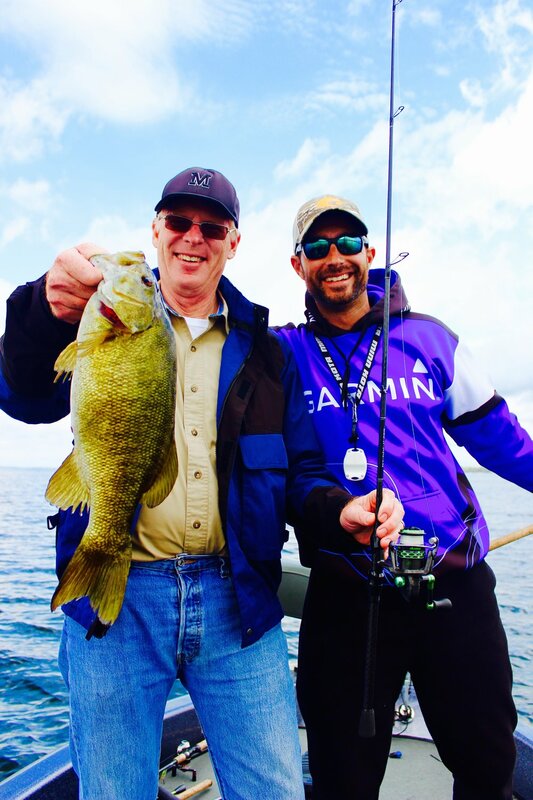 Fall on Lake Leelanau offers fantastic fishing! Lake Leelanau might be one of the best inland walleye lakes in the state of Michigan. 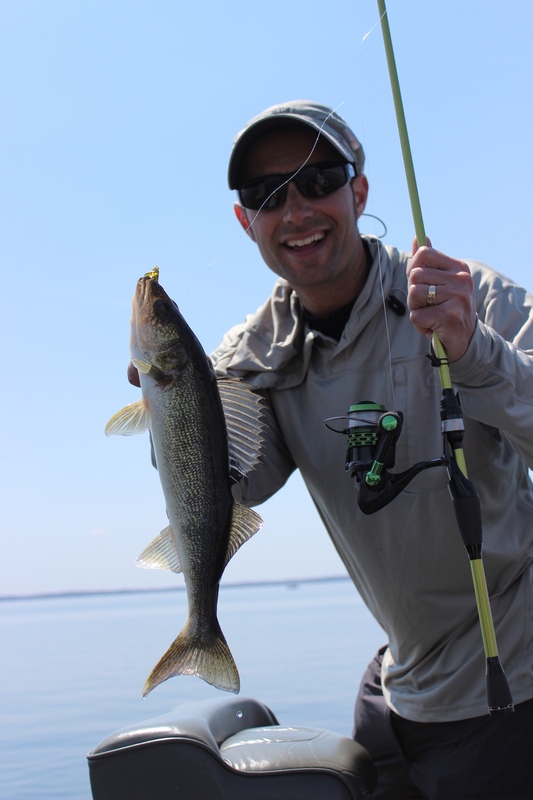 Not only does it have a tremendous population of walleyes, the perch, smallmouth, and northern pike fishing has been unbelievable. May can be a tremendous month, but the best fishing of the year has been from August through ice up. That's our promise to you! We work extremely hard to ensure that you have a memorable experience. We cater to all ages and experience levels! 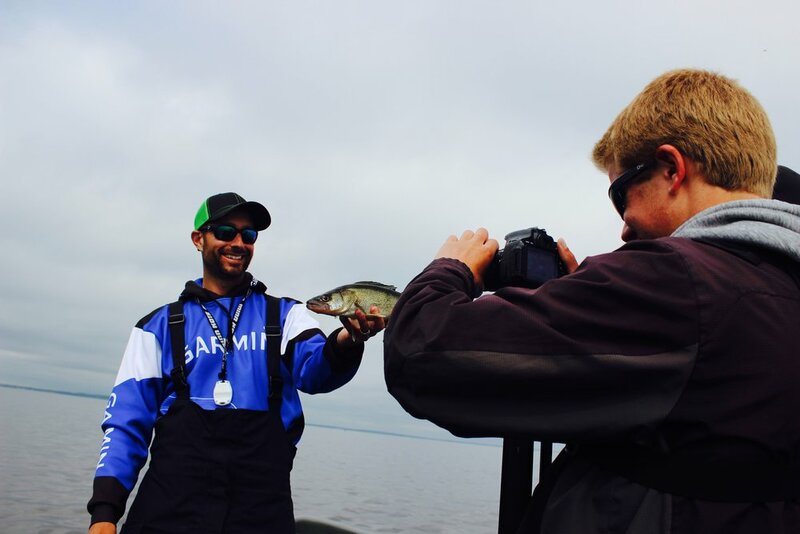 All you need to bring on the trip is a valid Michigan fishing license and a good attitude! To book at a trip on Lake Leelanau, call/text me at 517-488-3224. You can also email me at freshwatertherapy@gmail.com! 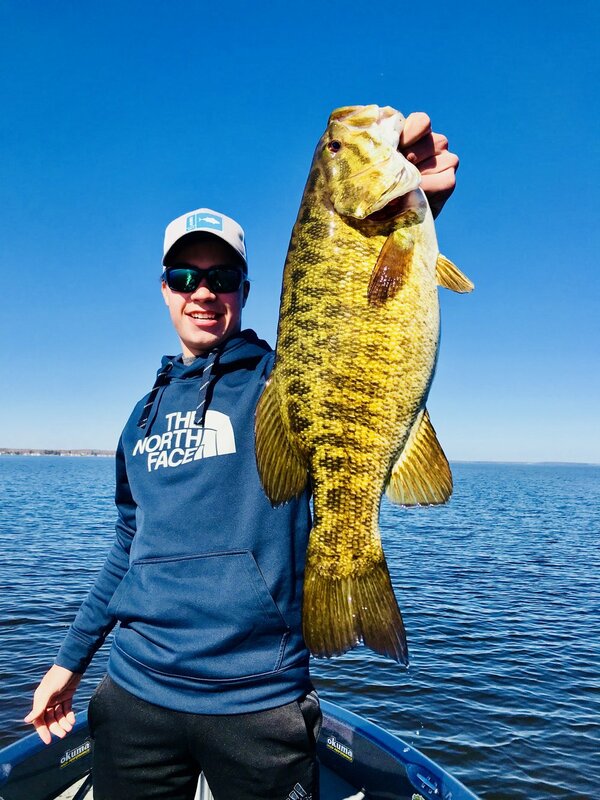 Your Silver Bay/Adirondack vacation isn't complete until you get a chance to sample some of Lake George's best smallmouth and largemouth bass fishing! My 3 hour trip is designed to target these fish with as little interruption to the plans your family has while you're on vacation! New since 2017: Split a trip - jig for lake trout and fish smallies - all in one! Nothing like hooking a laker on a plastic or a spoon! Unlike lots of other charters, you actually get to fish with a rod and reel in your hand for the entire trip. 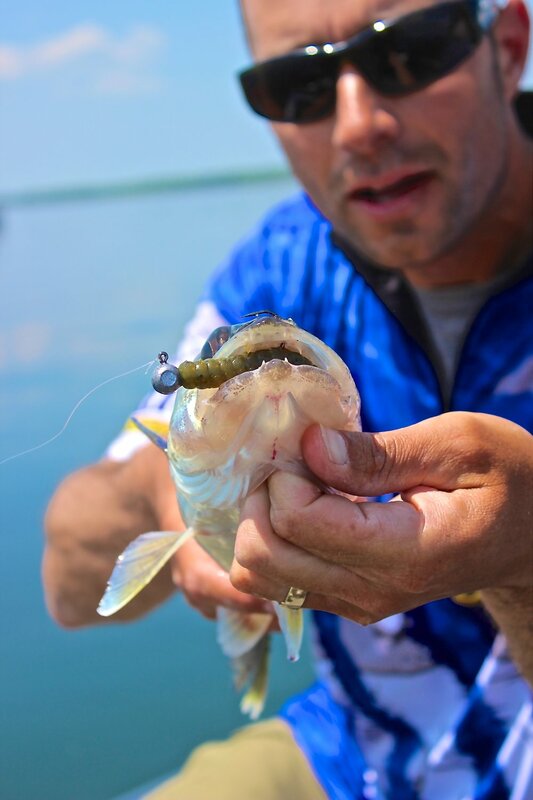 You'll hone your skills with artificial baits and have a blast doing it! Morning Trip (3 hours): $325 for up to 3 people ($50 for each additional person) Can accommodate up to 5. Evening Trip (3 hours): $325 for up to 3 people ($50 for each additional person) Can accommodate up to 5. Full Day trips available upon request! I can accommodate larger parties with some creative scheduling as well! That's our promise to you! We work extremely hard to ensure that you have a memorable experience. We cater to all ages and experience levels! All you need to bring on the trip is a valid New York fishing license and a good attitude! Staying at Silver Bay YMCA of the Adirondacks? Perfect! My guide service is one of the programs offered to guests at Silver Bay! I can pick you right up at the visitor dock. To book a trip with me, you can text/call at 517-488-3224 or email at freshwatertherapy@gmail.com. At the YMCA, you can also stop in at The Inn and sign up at the Concierge's desk. Silver Bay, New York (early June to mid August): These trips are set up to target largemouth and smallmouth bass. The action is hot and it's not unusual to catch 50-100 fish in a trip. WHAT DO I NEED TO BRING ON A TRIP? 1. Always plan for the unexpected. Dress warmer. Think layers. Bring rain gear (jacket and bibs). 2. A hat and polarized sunglasses are a must! 3. I highly encourage sunscreen and chap stick. 4. Food/snacks/water. Hydration is super important. 5. A valid fishing license. I provide all fishing equipment (top quality rods/reels, all tackle). I also provide you with a decked out Skeeter SX 2250 with a 250 Yamaha SHO, the newest electronics and lake mapping capability by Garmin (out of this world technology! ), and years of experience.